Stocking efforts help protect culturally significant fish species for future generations. 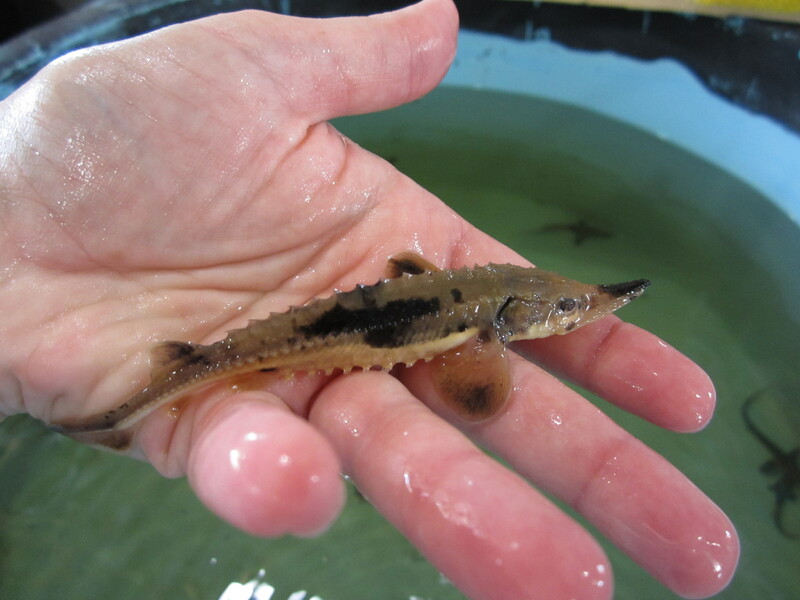 The Michigan Department of Natural Resources and several partners released more than 7,800 juvenile lake sturgeon into various public waters across the state this summer and fall in an effort to rehabilitate this culturally significant fish species. The juvenile fish were collected from the wild last spring and reared in streamside facilities until they reached at least seven inches or larger in size. Most fish were tagged prior to being released into their respective rivers to allow future evaluations of stocked fish. 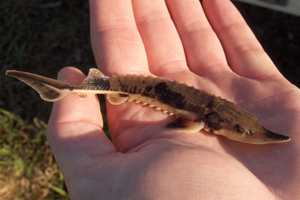 These annual stocking efforts are critical to restoring the state’s lake sturgeon population. It takes the work of many partners to secure funding and resources to make the restoration possible. These partners include: the DNR, Black Lake Chapter of Sturgeon for Tomorrow, Kalamazoo River Chapter of Sturgeon for Tomorrow, Little River Band of Ottawa Indians, Little Traverse Bay Band of Odawa Indians, Match-E-Be-Nash-She-Wish band of Pottawatomi Indians, Gun Lake Tribe, Keweenaw Bay Indian Community, Michigan State University, U.S. Fish & Wildlife Service and U.S. Forest Service. The table below shows which agencies stocked fish, how many were stocked, and the date and location of each stocking effort. For more information about lake sturgeon, visit Michigan.gov/sturgeon.